As India hurtles towards a more developed economy, one of the casualties has been the deteriorating state of our environment. Rapid industrialization has, unfortunately, hiked up the number of pollutants in our surroundings. One of these pollutants is wastewater. Management of wastewater through wastewater treatment plants in India has become an imperative of our cities today. Wastewater is contaminated water. The two main sources of water contamination are sewerage and industrial waste. With both the population of India and its industrial landscape increasing at a phenomenal speed, wastewater volume is also at an alarming rise. Adding to this is the shrinking of freshwater sources like rivers, wells, and groundwater and we have an alarming situation. Some fear that very soon water may become a premium commodity. Rising levels of wastewater has another consequence. Not only is it unfit for consumption, it can mix with other water sources and contaminate it as well. For instance, contaminated water trickling into rivers and polluting it. When this water runs downstream and joins other water sources like other rivers, the contamination further spreads. Wastewater also seeps into the ground, contaminating underground water sources. The result is that almost every water source is today heavily polluted — from rivers and wells to coastal areas. This would be disastrous. Water is too important for us to treat this situation with anything less than uttermost seriousness. Drinking water is essential for all humans. Water is vital for livestock, the food industry, and farming. To a small extent, nature can deal with naturally produced contaminants like human and animal waste. However, the massive amount of wastewater today cannot be managed by nature alone. With this situation, wastewater management is our best option. Since the process of reducing contaminants will takes decades of dedicated effort, the better solution would be to manage the wastewater. Fortunately, technology can help us here. Today we have sophisticated methods to treat wastewater. Here are some of the common methods used by wastewater treatment plants in India. Physico-Chemical Treatment: Pollutants are usually classified according to size and different methods are used accordingly. For instance, larger particles are separated through gravity, flotation, or filtration. However, smaller particles are much more difficult to separate. This is where physico-chemical treatment is particularly useful. Chemicals known as flocculants and coagulants are used to separate them. This is a commonly used method to treat industrial waste. It is ideal for the removal of suspended matter like heavy metals, inorganic substances, oil, and grease, as well as dissolved substances. Biological Treatment: Unlike physico-chemical methods, biological treatment use organisms to treat pollutants. Over the years, scientists have developed various aerobic or anaerobic processes to treat wastewater. 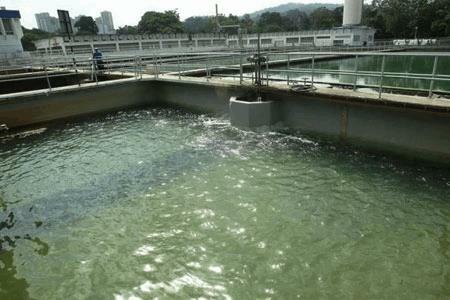 Recycle and Reuse: In this method, wastewater is recycled using the membrane-based system. Membrane bioreactors use the simple science of ultrafiltration with a bioreactor to treat wastewater. In short, the method combines physic processes with biological methods. This is a commonly used method in industrial and municipal wastewater management. Treated water is recycled for various purposes, such as irrigation. Zero Liquid Discharge System: Many people view this as cutting-edge technology in wastewater management. It removes all dissolved solids from the wastewater, giving us distilled water. Methods like RO are used to purify the water. Wastewater treatment plants in India have become an important part of the landscape — vital in maintaining the health of our people and the land.